Thank goodness for DVR. I was falling sleep during this game. I did catch a controversial late in the game. Luis Perez appeared to connect deep with Quinton Patton inside The 10 yard line. Mike Singletary challenged the play. It was clear on replay that the ball bounced off the turf. The video official reviewed a bunch of angles, and determined that the ruling of a catch would stand. You could even hear the field judge trying to get the video official to change his mind because the visual evidence of an incompletion was clear as day. The video official stuck with his stupid judgment. Singletary’s reaction to this on the sidelines was priceless. Even the announcers had to admit that the video official blew the call. While blown calls are part of the game, on Saturday people acted like the AAF refs were infallible and that they were never going to make mistakes. Today they proved them wrong. The XFL will have some blown calls too. The question will be how to limit them, not eliminate them. This won’t be covered by the mainstream media, last week’s botch with the video official was ignored. In the first game of week 2 in the AAF. With the Stallions leading 9-0, they are fielding a punt late in the game. A fumble is called on the field and then recovered in the end zone by Birmingham. The review shows that the punt returners knee was down before the ball was ripped out. The video official did not correct the play and let the play stand. The whole purpose of a video official is to get the call right. I saw that too. It was obvious that the defender's "ripping" motion came after the Stallions player's knee was down. People on the AAF_Football Reddit are defending the call saying it was too close to call, but they messed up. Also after a Stallions turnover on downs, a Iron player was flagged for unsportsmanlike conduct. Instead of putting the Iron back 15 yards like they should have, they gave the Stallions a 1st down and gave them another chance to tie or win the game. There was also a flood of flags in the 4th quarter too. The refs were just off in that game. The play was sloppy too, lots of fumbles, missed kicks and other miscues. That's what you get when you only have your teams practice for 30 days. I hope the XFL gives their teams more time to gel and practice. The video official also blew a call in the late game between Memphis and Arizona. Christian Hackenberg did a sneak on 4th and 1 from his 44, and ended up with the ball on the 45 yard line. The refs marked it as no gain at the 44. Turnover on downs. Singletary challenges, the video official stood with the call on the field. Announcers were stunned. No video replay was even shown. I had to hit rewind on the DVR to see if the call was correct and it wasn’t. You gotta get this right if you have a video official. People on opening night were acting as if AAF refs were infallible. Obviously we know that no ref is, but the AAF had a bad day yesterday with officiating. Two calls that changed the game. Not acceptable at all. 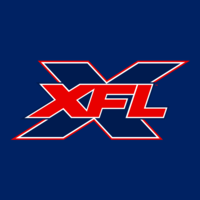 Hopefully the XFL will keep their bad calls to a minimum.